Board of Governors meeting, Westin La Paloma, Tucson, June 13, 2017. State Bar Governors sought for two Districts. The State Bar of Arizona calls for candidates to apply for a position on its governing board, the Board of Governors. Complete packets are due to the Bar by tomorrow, Tuesday, February 28, at 5:00 p.m. Openings exist in two counties/Bar districts. There are nine openings in Maricopa County (District 6), and one opening in Pinal County (District 8). For the first time ever, out-of-state members can vote (in the District of their most recent Arizona residence or place of business or, if none, in Bar District 6/Maricopa County). Terms for those prevailing in this election will be for two years. Although Board terms are typically three years, in 2019 the Board of Governors faces a “reset,” required by an Arizona Supreme Court change to Rule 32, Ariz.R.S.Ct., which will result in a recomposition of the Board and staggered terms for members. More information on the process and required documents for the nomination packet are here. 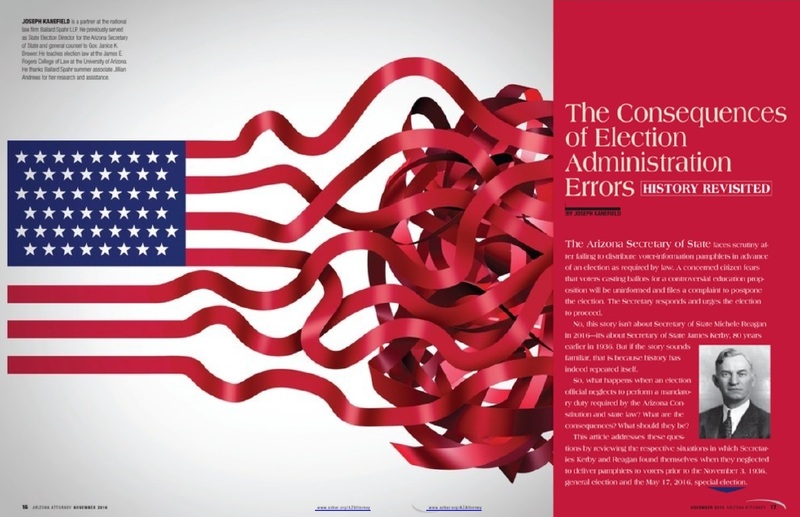 If you have any questions about nominations or the election process, contact Carrie Sherman at 602-340-7201 or at Carrie.Sherman@staff.azbar.org. 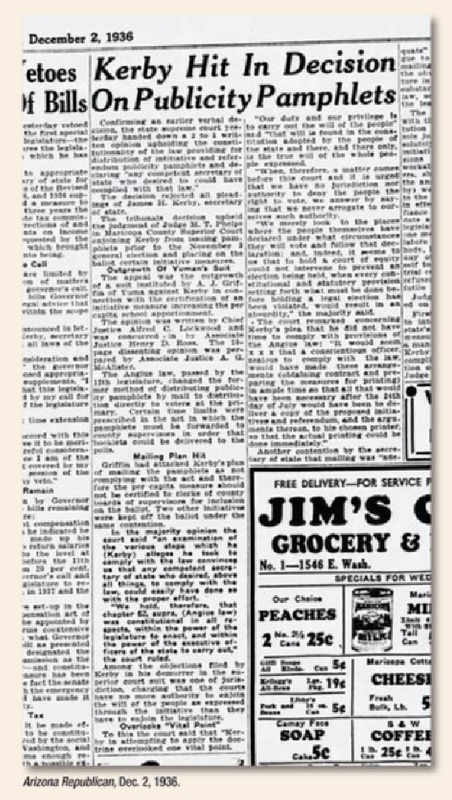 Arizona election errors have been making the news … today, and generations ago. If you haven’t voted yet, stop reading, put down your device, and get to your polling place. Now. But if you have, then kick back with your I Voted Sticker (you earned it) and enjoy a tale of election administration errors from 1936. In many ways, the lessons it offers are as fresh as 2016. 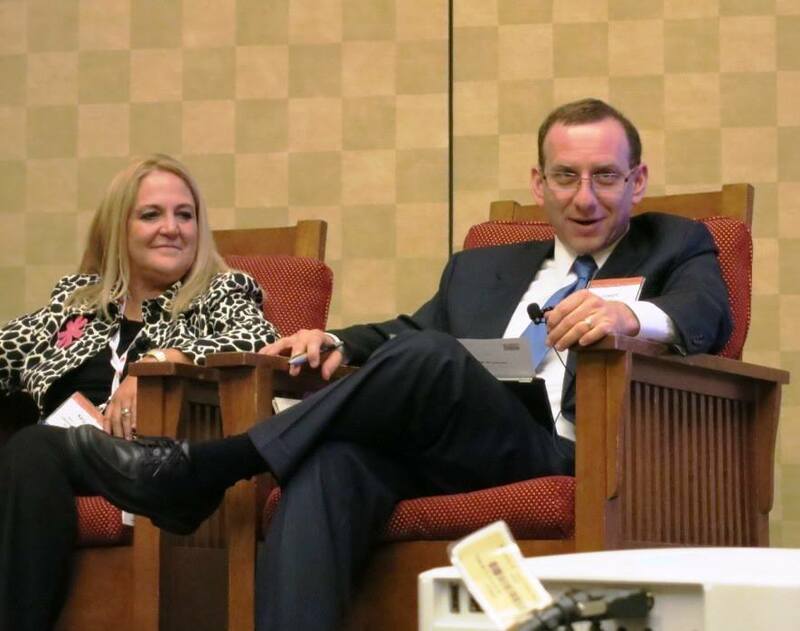 Attorneys Joe Kanefield and Kelly Schwab present at the State Bar of Arizona Convention, June 2013. Thank you to Joe Kanefield for conceiving of and writing such a relevant story of ballot woe! And … Happy Election Day! An upcoming State Bar of Arizona program explores the continued barriers to Native American electoral participation. Still unsure what barriers prevent or dissuade Native American participation in the electoral process? As we head into election season, the barriers to exercising the franchise—and progress eradicating those barriers—will be addressed in a Phoenix program on Thursday, October 20. A public radio program this week illustrates just how basic some of those barriers can be. In this story, journalist Carrie Jung spoke with Native Americans who face clear and existential obstacles to participating in elections. Among those barriers are language challenges; traveling large distances, perhaps without a car; and even obtaining a voter ID when you have no formal address. The seminar chair will be Virjinya Torrez, Assistant Attorney General for the Tohono O’odham Nation. Speaker photos are below (click to enlarge). Loyal to the democratic process? You may want to vote in a Bar election before it closes Wednesday afternoon. 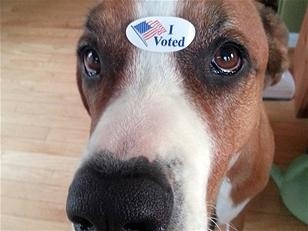 Many of you may have done your civic duty and voted on some high-profile statewide propositions. But did you know that if you are an Arizona-admitted attorney in certain counties, you should be voting in another election too—one that determines who will sit on the State Bar Board of Governors? And that online election closes at 5:00 p.m. tomorrow, Wednesday, May 18. So, yes, there are some contested elections. 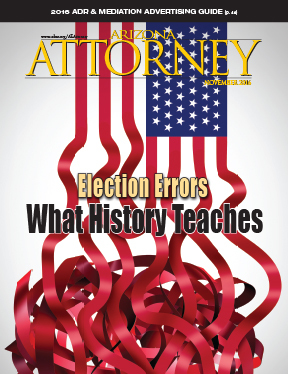 You can read how the candidates described themselves and their values here in Arizona Attorney Magazine. And for even more functionality in reading about and seeing the candidates, go to the Bar’s user-friendly website here. Finally, in order to cast your ballot, see the email sent directly to you from State Bar CEO John Phelps. That email contains a link to the ballot and your specific credentials to do so. A voter speaks … and urges an indiscriminate no vote on all judges. Much effort has been expended by many folks—including the State Bar of Arizona—to get voters in state elections to “finish the ballot.” The notion is that many people care deeply about the “top races,” but fatigue sets in as they move down their ballot and reach the judges. 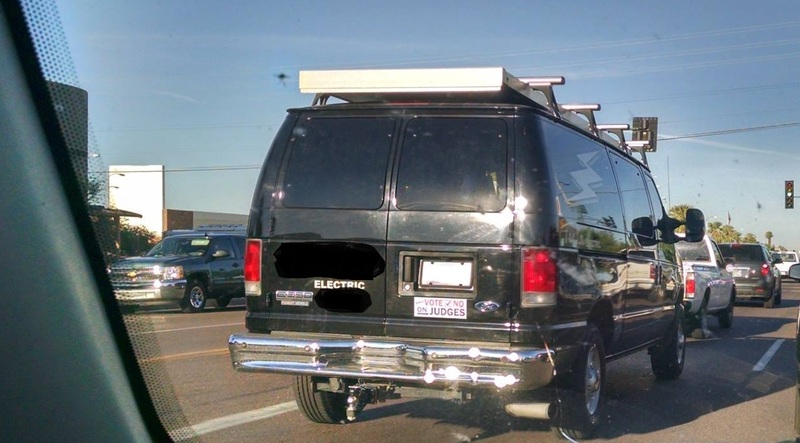 So what an unpleasant surprise this weekend to see a bumper-sticker in Phoenix that urged voters to do the same—but not in an informed way. Instead, the placard (depicted above) recommends that everyone vote no on all the judges all the time. Always Vote No On Judges: It only gets worse close up. Somehow, I don’t think the indiscriminate and uneducated wielding of the no vote is what our nation’s founders had in mind. But that’s what we face, more and more.